Your mother is the one who always stays by your side even when the whole world turns a blind eye to you. Her affection & care is the purest form of love that you will ever know. 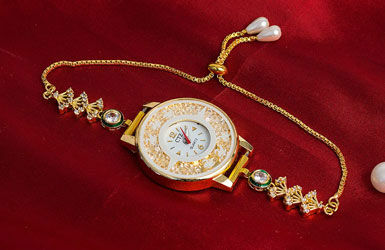 Express your gratitude towards her with our fabulous gifts on the occasion of Mother’s Day. It is time for you to return her love & make her feel wow with our specially curated gifts for Mother’s Day. Mothers Day is the day dedicated to all the loving and caring moms. The 2nd Sunday of the month of May is chosen as the day to honor the moms. Moms contribute the most to a society and a nation at large. Not only they give birth to children, but moms are also the first and the best teachers of their children. Her hug is always the most comfortable place in the world and her lap is always the most amazing pillow to sleep. A mother's only objective in life is to love her children and make all her children’s dream come true. So, salute this incredible woman by sending her awesome gifts for mother's day. Take a look at some of the best Mother's day gifts that you can get for your mom. 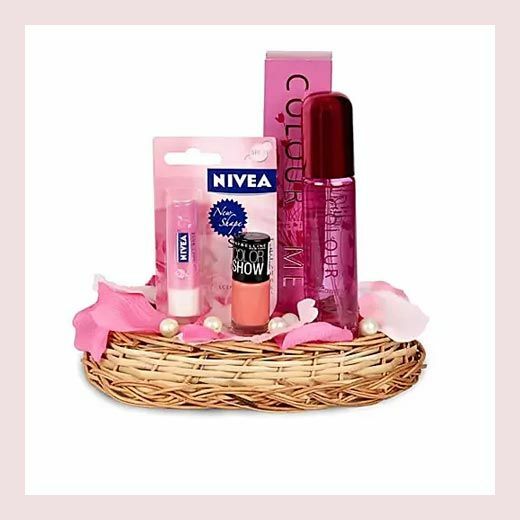 Gift hampers consist of a variety of things like cosmetics, spa materials, chocolates, dry fruits, roasted nuts, snacks, sweets, coffee mugs, etc. 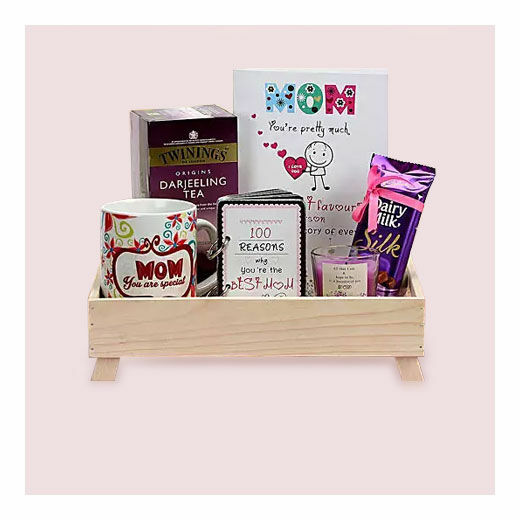 Send these stunning gift hampers to your mom and show her your unadulterated love! 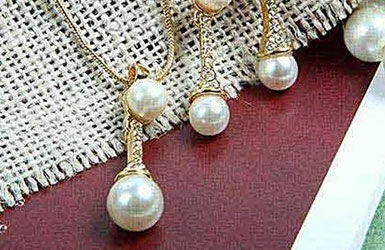 Your mom is the real jewel in your life – isn’t it? 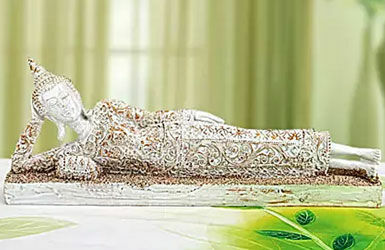 She always glitters and adds value to your life. So, this mother’s day, pledge to make your mom’s smile brighter with our amazing jewelry gifts like earrings, necklace, bangles, bracelets, etc. 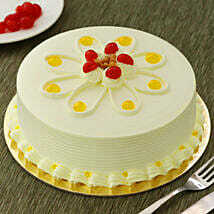 We assure you of great quality and timely delivery. Ferns N Petals presents to you a stunning collection of kurtis and sarees that you can buy for your mom. The art silk, cotton, banarasi silk, or faux georgette sarees would be simply loved by her. Handbags are important accessories for any woman. 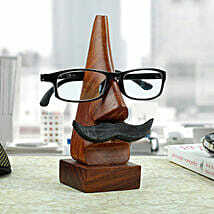 They love to carry a whole lot of things with them whether they are going to the office or to meet a relative. 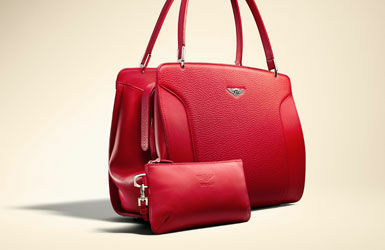 Your mom would also be happy with smart, trendy, and durable handbags that would enhance her style statement too! Carnations are famous as mother’s day flowers as they are believed to have been born out of the teardrops of Mother Mary. Apart from pink, white, orange, or red carnations, you can also opt for roses, lilies, orchids, or chrysanthemums in various hues. A cushion refers to relaxation and comfort. 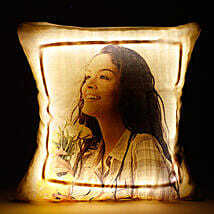 As a gift for mother’s day, you can buy a personalized cushion as that would give your mom some comfort and relaxation. 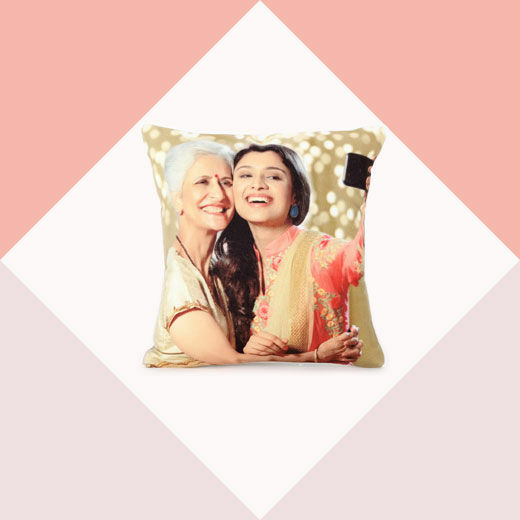 So, search for the best photograph of your mom and get a personalized cushion for her. Ferrero Rocher, Cadbury, Hershey’s, Merci, or Toblerone are some of the best brands of chocolates that you can get here at Ferns N Petals. 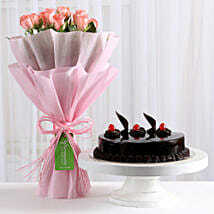 We have introduced chocolate bouquets also so that the love and sweetness in your relationship enhances. 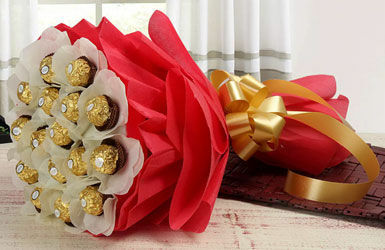 Send a chocolate bouquet to your mom and see her smile! 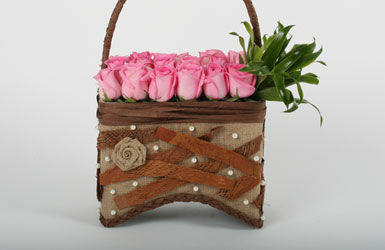 On the occasion of mother’s day, surprise your mom with beautiful baskets and hampers of cosmetics. We have included the best cosmetic brands like Lakme’, L’Oreal, Myglamm, etc. You will find stylish bindis, colorful nail paints, gorgeous eyeliners, and glamorous lipsticks here. 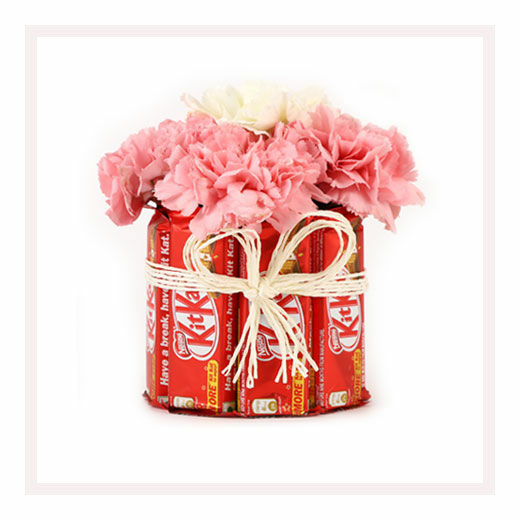 Your mom would be happy with such thoughtful gifts. 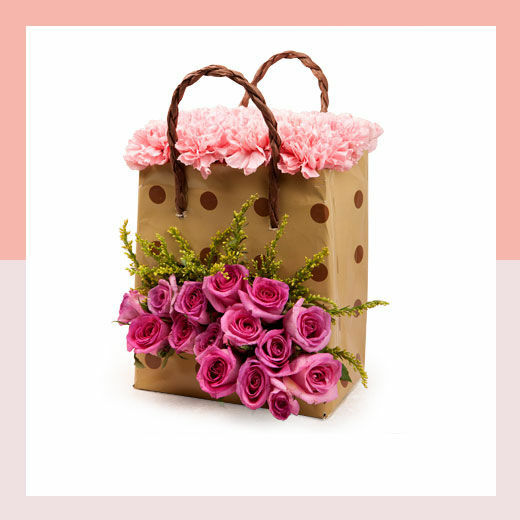 Ferns N Petals is available in more than 400 locations in India and thus you can send gifts for mother’s day to almost anywhere in India like Pune, Delhi, Ahmedabad, Mumbai, Bengaluru, Chennai, Jaipur, Indore, Bihar, etc. 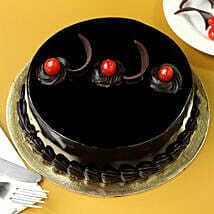 Our same-day and next day delivery services are also ready to aid you in surprising your mom. Not only on occasion of Mother's Day but the spirit of a Mom is to be celebrated every single day. We all have learnt the basics of Love, Care, Affection, and Sacrifice from this institution called Mother whom we know by different names in different parts of the world. We learnt the lessons of Sacrifice when we saw her dismantling the desire of buying a new sari for herself because she thought your dress and toys are more important. She made us learn the definition of Love when she instructed us to give that packet of biscuit to the beggar child in train. 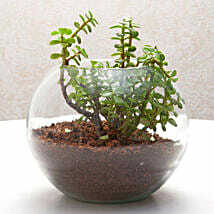 Care was defined when she told us to water the plant daily. She has beautifully built - imbibed some values that is going to last a lifetime. A mother is one who always strives hard to provide her kids a happy life. She is the angel sent by God to shower unconditional love and care on you. The woman who dedicates her entire life for her kids deserves to be treated with great respect on Mother's Day and other days of the year. 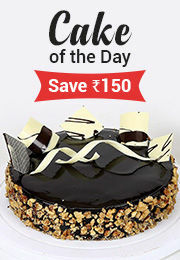 We have come up with an exclusive section of Mothers Day gifts on our website that includes mesmerizing flower bouquets, yummy cakes, home decor items, and chocolate hampers, etc. 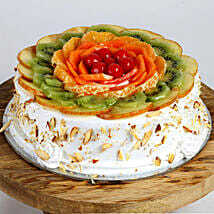 You can choose the gift that suits the personality of your mum to wish her a joyous Mom’s Day celebration. 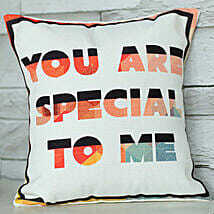 You can also select cute gifts like personalized cushions, spa hampers and perfumes from our exclusive section of Mothers day gifts from daughter. 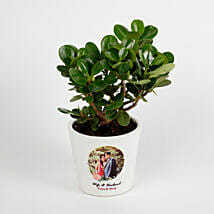 Similarly, thoughtful presents like love frame and indoor plants from our limited section of best Mother’s Day gifts from son can delight your loving mother instantly. 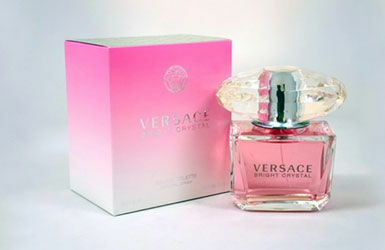 All these gifts are sure to delight the heart of your mom and make her feel special. 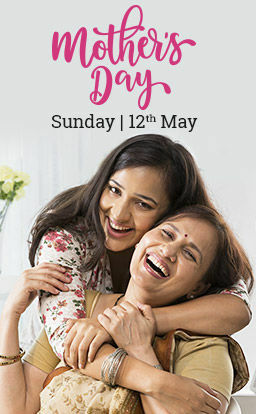 In India, the upcoming Mother’s Day will be celebrated on 12th May 2019, which is the Second Sunday of the May. 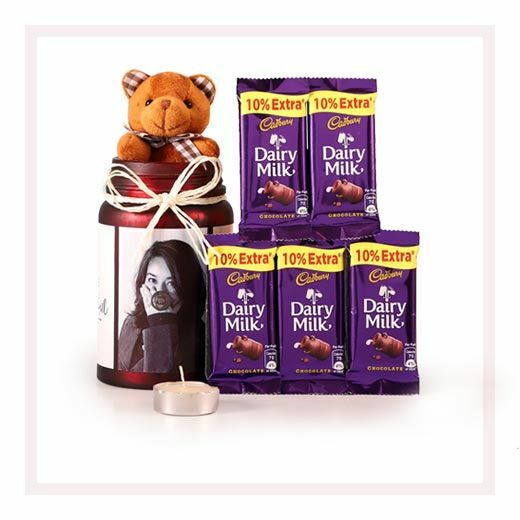 The occasion is a day to honour and celebrate the Mothers Day by offering a wide range of unique Mothers Day Gift Ideas, Cards and more Presents for Mother. It is a day to commemorate the great efforts of your Mother to make the family stand united and happy at all times. Mom/Maa/Ammi/Aayi/Mummy/Mommy is the first word that a child learns to utter. From giving birth to nurturing a baby in every step of life, the role and contribution of Moms are stupendous. Mother's Day is that day to acknowledge the true love of a Mom. We have a huge den of lovely gifts that can be gifted to her. Below are some of the Happy Mothers Day Gift Ideas based on the role and job of the every Mother as a Special tribute to her. 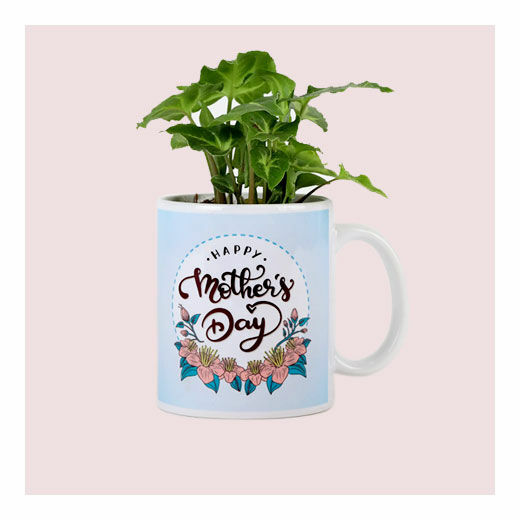 Working Moms- Ferns N Petals has a huge variety of Mother's Day Special Gifts for working Moms that consists of healthy snacks, designer bags, personalized coffee mugs and a lot more. Our gift can express the amazing relationship between the motherhood and working Mom. Housewife Mother- Explore the collection of gift ideas for Mothers Day that are entirely dedicated for the stay at home Mom’s. You can find out a niche home decor gift items from Ferns N Petals that can help in the Mothers Day celebration in a unique way. Fitness-loving Moms- Some Mummies are a huge fitness freak. 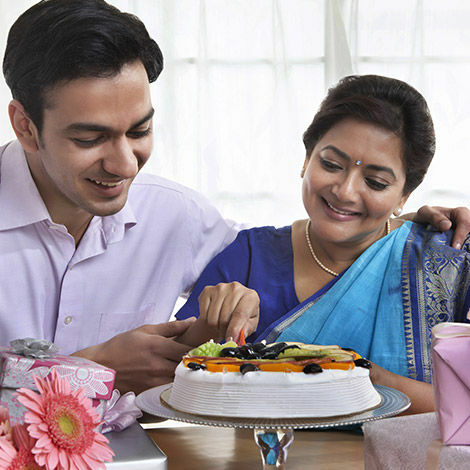 Gift such Mom’s healthy snacks, green tea collection, dry fruits or a fruit basket can be a perfect option for such types of mom. Q.1 What Are the Best Mother's Day Gifts? Ans.- The best mother’s day gifts are – flowers, cakes, chocolates, personalized gifts, plants, accessories like a handbag, jewelry. 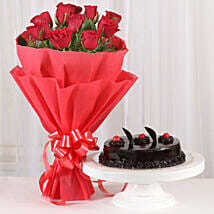 You can thus buy flowers in fancy arrangements or alluring bouquets, cakes in various flavors, shapes, and sizes, and chocolates in baskets & combos for your mom. 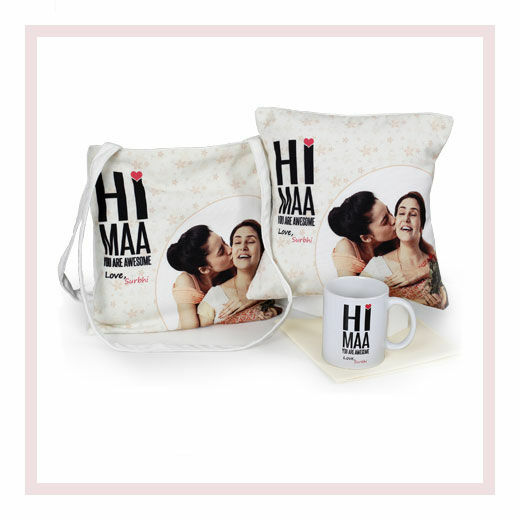 Q.2 What is the timeline for the delivery of personalized mothers day gifts? Ans.- We offer same-day delivery of personalized gifts in Delhi NCR in case the order is placed by 6 P.M. And for the rest of India, we provide next day delivery of personalized gifts. 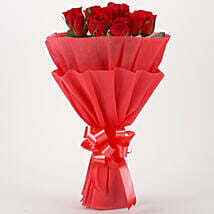 Q.3 Does Ferns N Petals Provide same-day, midnight delivery of Mother's Day gifts? 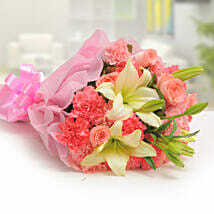 Ans.- Yes, Ferns N Petals provide same-day & midnight delivery of mother’s day gifts. 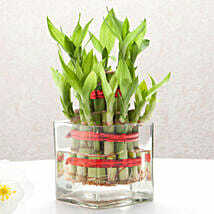 Q.4 Can I send Mother's Day gift outside India? 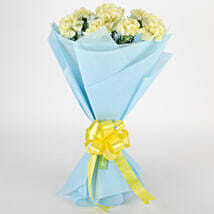 Ans.- Yes, of course, you can send mother’s day gifts to other countries using our services. Currently, we are serving 170 international locations and that includes places like the USA, UK, UAE, Canada, Australia, Singapore, Malaysia, etc. 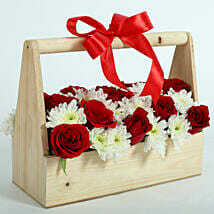 Q.5 Does Ferns N Petals Provide Mother's Day gifts delivery to my city? Ans.- Yes. Ferns N Petals has a PAN India presence and we deliver to more than 400 locations in India including the metro cities, small towns, and remote villages. So, your mom can be located anywhere in India, and we will reach out to her easily. Mothers Day Quotes & Messages to Wish Your Mom "Happy Mothers Day"
Mother’s Day is on 12th May 2019 and you must be having amazing plans to surprise your mom on this special day. 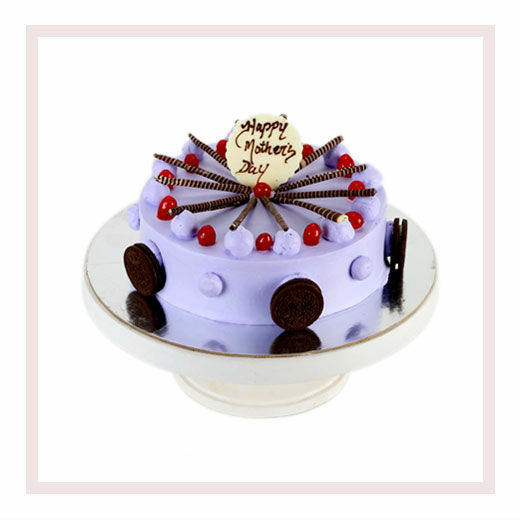 Ferns N Petals is also ready with its new collection of amazing mothers day gifts like flowers, cakes, personalized gifts, accessories, combos, and hampers. 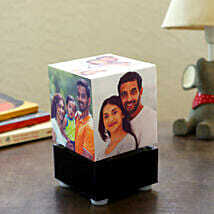 Explore our collection of gifts and get the best ones for your loving and caring mom. 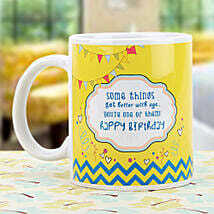 Apart from the vivacious gifts, we have also come up with a wonderful collection of mother’s day quotes. Have a look at these inspiring mothers day quotes to greet your mom on this special occasion.